Well, SageTime is somehow intricately based on GMT. I may be assuming to much when I suggest that Sage might have family and workplace commitments which steal him away from Candlekeep. Plus, he needs time to eat his morning gruel like all the rest of us. Well, actually, since I'm residing in the Great O' Southern Land, I'm enjoying my early evening gruel on a Wednesday night. Arik's on the mark regarding family and workplace committments however. Free time, for me at least, is rarer than a unicorn here. Se what happens when I assume? I'd assumed Sage of Perth meant you only originated from there (Australia) and actually live in proximity to Candlekeep GMT (UK/EU) ... whoops. Aye. I lived in the UK for a while [Wales, specifically] back in the early 00's. In fact, that's where I first met my lady-love... the indomitable Lady K.
I've known some Welsh lasses as well. Indomitable is a finely appropriate word. Nice to see that I'm not alone in this. Yes, I believe that had something to do with what Alaundo was speaking about the other day. The transition between web hosts will likely lead to further lengthy outages again, in the future. Well, as long as 'tis for the 'greater good,' ---for the improvement of our beloved 'Keep, it's fine. I won't complain again. CK servers appeared to be entirely offline most of the day. Not even "Error ASP 0113" pages. Aye. It's definitely the host. Nothing to do with us, fortunately. We're just subject to whatever is ailing the web host. Yeah, this is the first time I've been able to get to the site since yesterday afternoon. Nearly 24 hours... Though admittedly I did sleep in rather late. I notice that Active Topics page falls into sad disarray every now and then. It doesn't get updated when people manage to successfully post then unsuccessfully return to the forum. Quite a mess after a bad server day. Thus, a question: when submitting a post, why is the intermediate redirect page (New Reply Posted! or Your Reply Was Changed Successfully!, Thank you for your contribution!, Back to Forum!) even necessary? It just seems like needless cross-server talk to me (though of course I don't have any idea how CK is really set up), would it not be less error-prone (and time consuming) if this report page didn't exist and Back to Forum autolinked right away? Am I missing something about how this works? Not really. It's just a somewhat useful function that allows scribes to know that their post was successfully accepted by the forum registry. Is it absolutely necessary? No. But it's courteous. And I don't think having it or not having would make either difference to the nature of the ASP errors plaguing the system. You'd still receive the error message about your post, because it can also occur when we Moderate a particular entry in a scroll [where this posting message doesn't appear]. Agreed. I actually like it. Most of the forums I joined in have something similar. Perhaps a script which compares the new post with the previous post (or at least the last post by the same user) - a quick scan for dupe posts which will redirect to the usual (Thank You!) page immediately instead of re-posting when a dupe is found? lol, it might reduce the mod cleanup chores a little. Sadly, there's nothing to be done about this error. Candlekeep is on a shared web server along with other websites. Therefore, we have to share bandwidth and server loads and on occassion, such heavy loads may happen. I haven't seen this myself yet and suspect it's quite rare for the loads to be so high. Unfortunately, as Candlekeep is non-commercial we cannot stretch to going to a dedicated server. 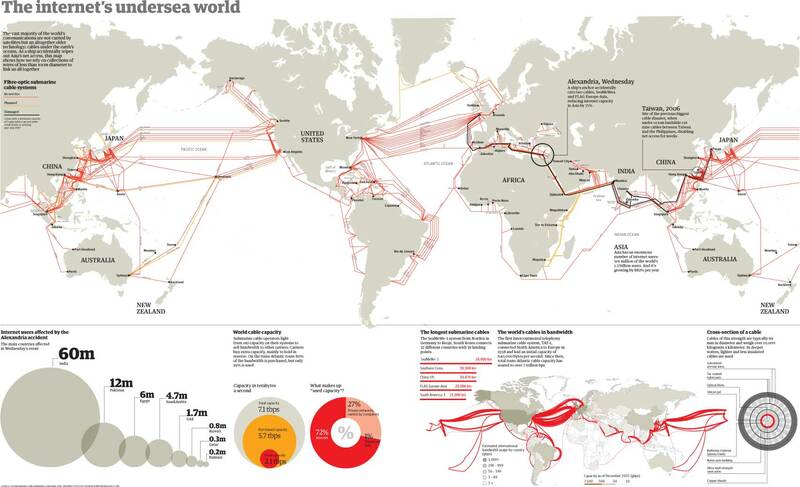 Interesting that Zireael (in Poland) would experience server lockout - I'd think the problem would be seen more often by those of us on the other side of the Pond, as bandwidths get bottlenecked crossing through 7000km of trans-Atlantic fiber (map of global submarine datacomm infrastructure). The site was inaccessible for almost the entire day. Indeed. I was unable to reach the site from mid-afternoon thru midnight, and when it loaded this morn, there were only a few updated threads -- so it likely hadn't been up for long. Yes I noticed diffifulties in posting replies yesterday.